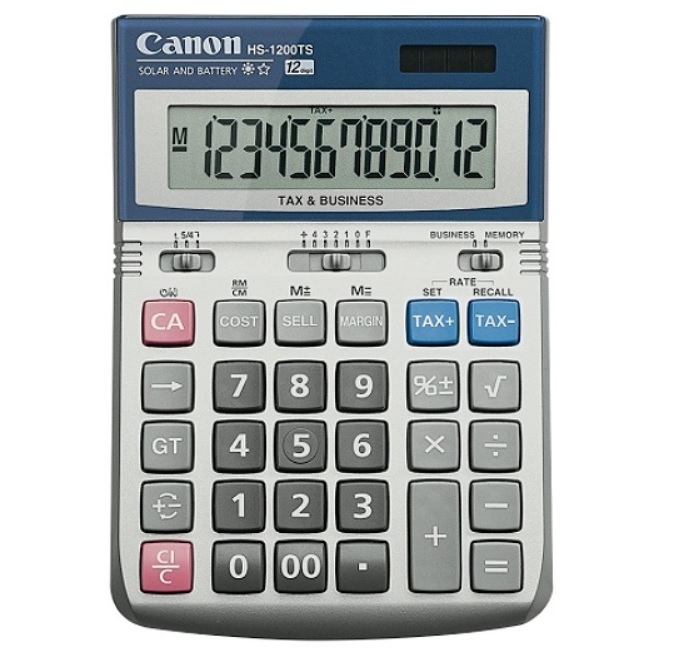 17mm LCD display shows results up to 12 digits and features a 3-key memory capacity. Tax function, profit margin calculation, grand total key, sign change, square root and percent features help meet a variety of calculating needs. Decimal position options include A, 4, 3, 2, 1, 0 and F.
Features dual solar and battery-powered operation for flexible charging methods.